The rhythm that churns through “Ancestral Recall,” an incantatory new single by trumpeter Christian Scott aTunde Adjuah, carries the weight of cultural implication. As a blend of African diasporic percussion — batá, djembe, shekere — it points toward a heritage that Adjuah has set out to reconstruct. It’s also the title track of his next album, which Ropeadope will release on March 22. There’s a heraldic trumpet on the piece too, of course: Adjuah, making his presence known and his purpose clear. When Catherine Russell sings “Our love is as deep as the sea,” on her version of the songbook standard “Alone Together,” she draws out the pivotal word — that would be “love,” of course — as if to be sure she’s understood. But Russell isn’t one to overstate the case: her delivery feels sincere but cool. The tempo she sets for the song evokes a sashaying walk, brisk but by no means hectic. She’s suave and in control, even as she courts a lover’s affections. It helps that Russell is on terra firma with this style, essentially to the manner born. Alone Together will be the title of her seventh album, due out on the Dot Time label on March 1. She’s sure to perform this and other songs from that release during a Valentine’s-week engagement at Birdland, Feb. 12-16. Joining her is the full personnel from the album, including trombonist John Allred and saxophonist Evan Arntzen, who each deliver a satisfying solo here, and guitarist Matt Munisteri, whose steady chug helps define the groove. 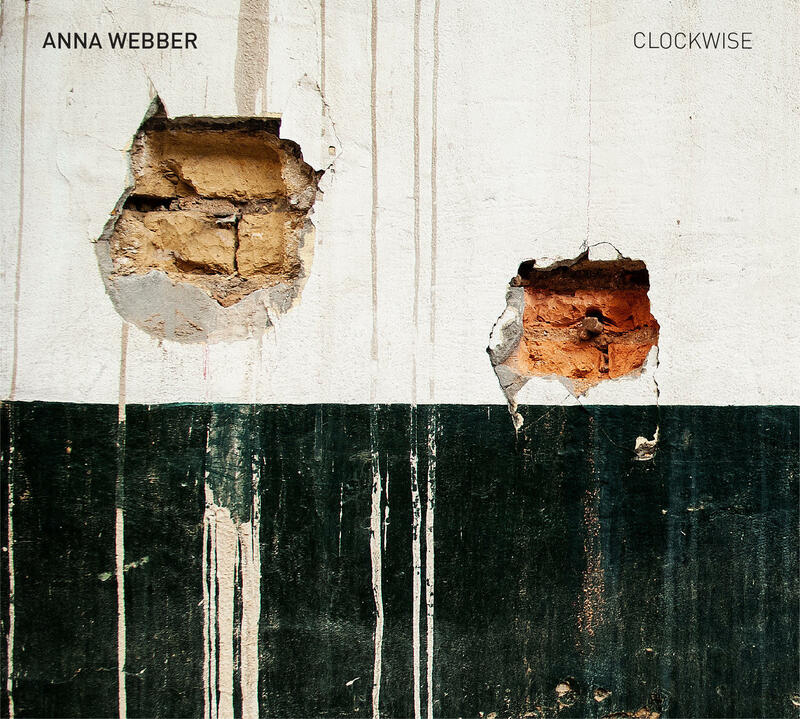 Clockwise is the latest album-length provocation from Anna Webber, who’s best known as a flutist but no less rigorously astute as a tenor saxophonist and composer. The album, which Pi Recordings will release on Feb. 22, revolves around a set of pieces built through extrapolation, building on the work of 20th-century classical visionaries like Xenakis, Feldman and Cage. “Idiom II,” which premieres here, opens with a tart, bagpiping keen — actually Webber and Jeremy Viner, splitting atoms (or perhaps just microtones) on a pair of tenors. Moving forwards, the track provides a syncopated roadmap for the rest of Webber’s incisive crew: Jacob Garchik on trombone, Christopher Hoffman on cello, Matt Mitchell on piano, Chris Tordini on bass and Ches Smith on drums. But there’s also a place for unruliness here, first during an exclamatory solo by Hoffman, and then in a full-group improvisation that occupies the track’s midsection. Natural Information Society — an ensemble with mutable personnel, led and defined by Chicago-based multi-instrumentalist Joshua Abrams — has spent the last several years as a visionary hybrid, blending elements of minimalism, trancelike folk and electronic music. The band maintains the same high bar for convergence on its forthcoming double album, Mandatory Reality, due out on Eremite in April. What’s different is the absence of electronics; for this recording, which consists of two long, uninterrupted tracks, Abrams kept the focus on acoustic resonances. This video, a nearly eight-minute excerpt from the second track, “Finite,” captures the spirit of intentional drift in the music. Along with Joshua Abrams’ guimbri (a lute commonly heard in the Gnawan music of Morocco), you’ll hear Ben Lamar Gay on cornet, Nick Mazzarella on alto saxophone, Jason Stein on bass clarinet, Ben Boye on autoharp and piano, Hamid Drake on tabla, and Mikel Avery and Lisa Alvarado on gongs. (Alvarado also plays harmonium here, and shot the footage in the video.) All of the music was recorded live to tape in Chicago, and mastered by Helge Sten in Oslo, Norway; Natural Information Society will perform at the Art Institute of Chicago on March 7, before embarking on a European tour. Tenor saxophonist and composer Quinsin Nachoff has long been drawn to creative expression within an analytical frame. Path of Totality is the latest byproduct of this balancing act, inspired in part by a recent lunar eclipse. The album, just out on Whirlwind Recordings, features pieces that Nachoff designed to mirror various aspects of this astronomical phenomenon — including the closing track, “Orbital Resonances,” which finds a parallel between the elliptical paths of orbiting bodies and the physics and dimensions of sound. Nachoff composed the tune for his band Flux, which features a second saxophonist, the seasoned alto expressionist David Binney. Their dialogue begins in a braided counterpoint about 30 seconds in, against Matt Mitchell’s piano commentary and the thrashing of two drummers, Kenny Wollesen and Nate Wood. Elsewhere on Path of Totality, there are moments that reflect Nachoff’s experience as artist-in-residence at Canada’s National Music Centre, where he had access to a wide array of synthesizers and other keyboards. But here he entrusts the action to his acoustic five-piece ensemble, and to a series of push-pull interactions that illuminate the subject at hand.